Scott came to Trinity in 2017 with more than twenty-five years of ministry experience in both pastoral ministry and CEO of a Christian ministry on the New Jersey shore as well as the Billy Graham Evangelistic Association. He has a passion for sharing the love of Jesus Christ and in his spare time enjoys playing board games, golf and reading, especially biographies and church history. Scott has been married to Nancy for 32 years; their son Kevin, daughter-in-law Brittany and four children live here in Virginia Beach. To contact Scott, click here. Sheryl is the detail-oriented coordinator of our Oceanfront worship services. She also coordinates and oversees many of the special event worship services that Trinity hosts. Sheryl holds B.S. degree in Music Education from Bob Jones University. Sheryl has two amazing grown children, one son-in-law and a crazy Jack Russell Terrier, named Stonewall Jackson. Sondra is responsible for creating a safe and exciting environment for infant-5th grade kids at the Oceanfront Campus that they may learn and grow in their personal relationship with Jesus. 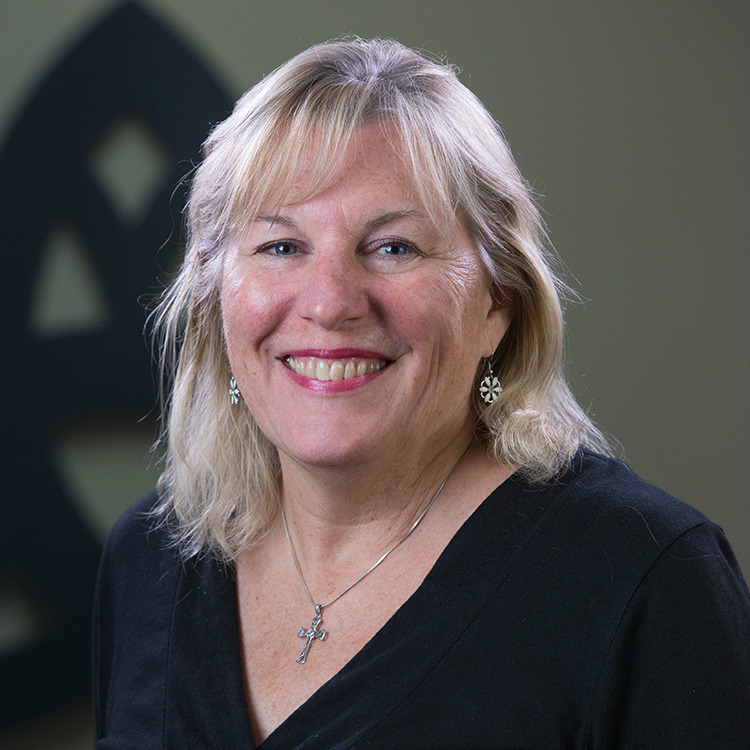 She has over 30 years of experience in children's ministry, a heartfelt passion to share the love of Jesus with children and a BS from Stephens College, Columbia, Missouri. Sondra has been married to the love her life, Roy, for 35 years. Their favorite pass time is walking the beach together hand-in-hand. They have two grown sons, Steve and Jason and two grandchildren, Katie and Kevin. Karen helps to plan, coordinate, and implement worship and music at the Oceanfront campus. She’s a true Virginia Beach native, earned a Bachelor’s in Communication and Master’s degree from Virginia Tech and has been a worship leader for over fifteen years. Karen's passion for the Lord is infectious and she considers her role of leading others into God’s presence through worship a privilege. She and her husband Terry have two great kids: Chris and Caroline. To find out more about Trinity Worship, click here. Oceanfront digital bulletin click here. Oceanfront Worship is Sunday at 9am. 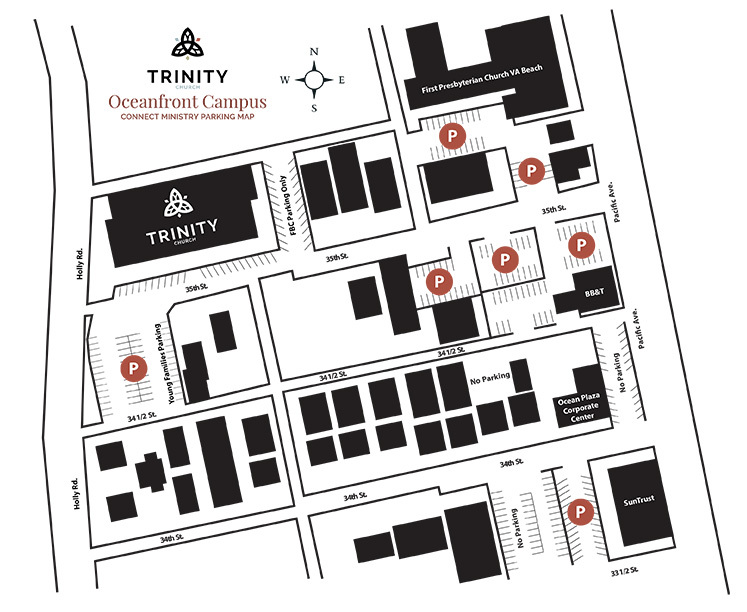 Trinity Church meets in the First Baptist Church builidng and shares parking with many other beachfront neighbors. Please review our parking map to see parking options.